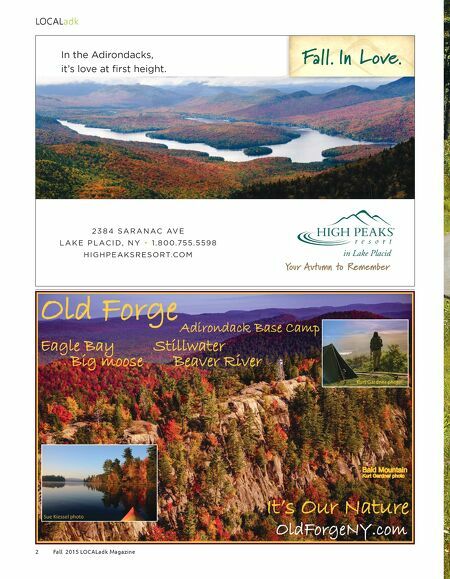 Fall 2015 LOCALadk Magazine 3 LOCALadk L.E. Baskow Congratulations to Cycle Adirondacks and the Wildlife Conservation Society for putting on a very successful week long supported bike tour through the Adirondacks. 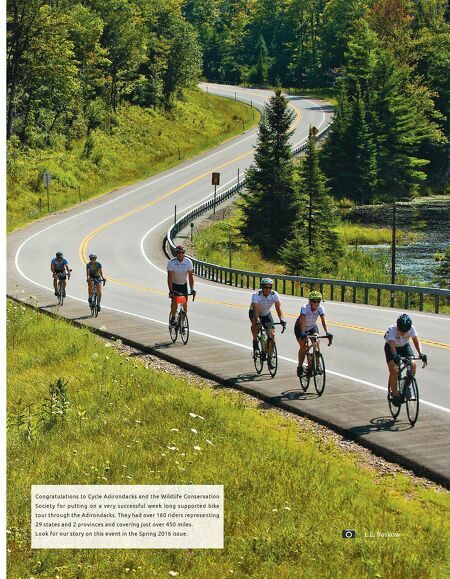 They had over 160 riders representing 29 states and 2 provinces and covering just over 450 miles. Look for our story on this event in the Spring 2016 issue.